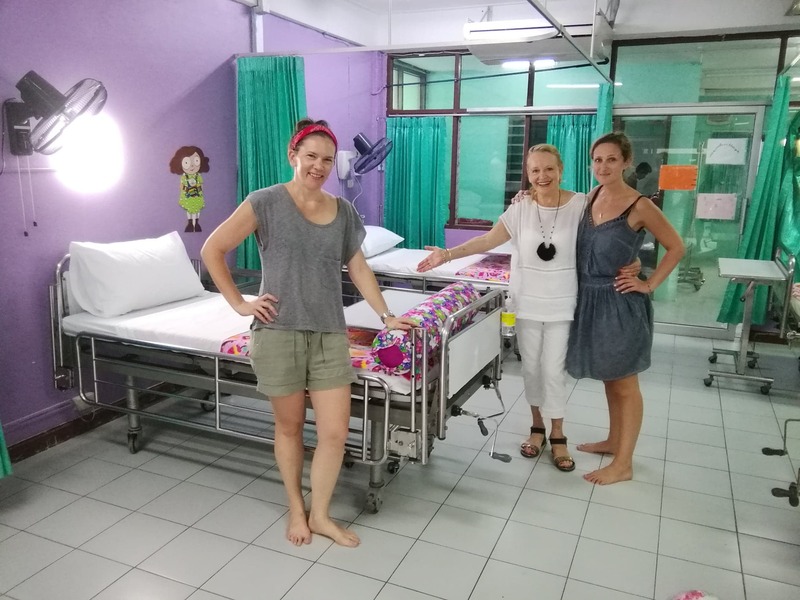 The most exciting and certainly most ambitious project undertaken by the Sisters on Samui has now passed the six week mark with the delivery back to the Nursing staff of the second Maternity ward themed in purple and as the Cabbage Patch Ward! 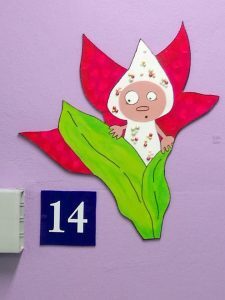 The full refurbishment and expansion of the Children’s and Maternity wing at the Nathon Public Hospital Stage 1 has only the last Maternity Ward left to complete plus the complete refit of the current Treatment/ birthing room to provide not only the necessary preparation and sterile facilities but also a bright new feel to keep spirits cheery. Our thanks again to the teams from Kanda Residences for their volunteering efforts on this second maternity ward. 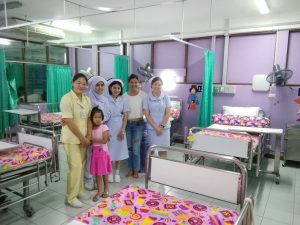 It has certainly been a most rewarding and uplifting experience for all of those involved so far. Stage 2 will commence as soon as possible and will comprise ALL remaining facilities including provision of both Children’s and Maternity Pyjamas, Refurbishment of the Nurses station with sterile bench tops and storage, Community Courtyard new Roof and fitout as a soft children’s play area, complete rebuild of both sets of toilets and shower facilities, extension/ expansion of very cramped family dining areas plus a new covered outdoor deck and walkway for patients to air their personal laundry and for the Nurses to properly disinfect the bedding. The Project commenced on Monday the 30th July and at Sunday the 9th September, we have now completed 6 of the 8 wards programmed! 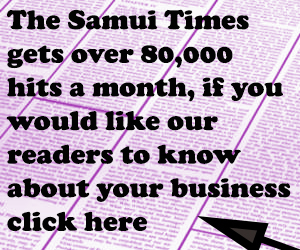 To date we have raised THB 1,200,000 through our own Sisters on Samui efforts and sheer willpower. This is all already accounted for and will all be spent by the end of the 8 week program. Further support is URGENTLY needed to help complete a list of further and already planned projects to complete this upgrade before Christmas 2018 – a further THB 2,000,000 is required! 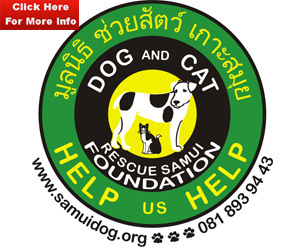 Please note that 100% of all funds or goods and money donated go directly to the Project – all input by Sisters on Samui is voluntary!